Hello, Doodlebug fans. 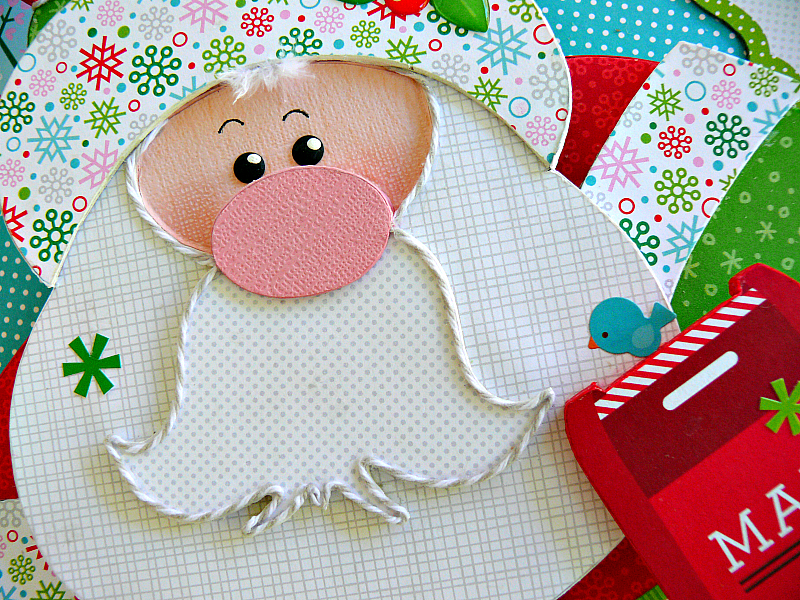 Jennifer here and today I'm sharing my Here Comes Santa Claus project with you. I knew I wanted to create a countdown with the Christmas Countdown 12x12 paper, so I looked around the Silhouette store and found this cutting file by Lori Whitlock. 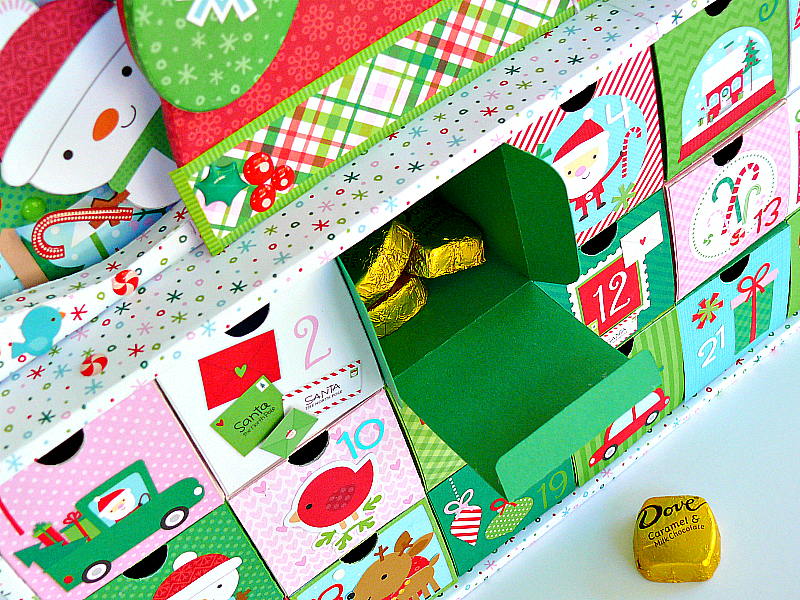 I liked the size of the advent calendar because it was perfect for adding something fun on top. Here's the finished piece. I kept most of the 2x2 images from the countdown page the same, but a few had to be changed because of color or design issues. Since I planned to have a scene on top of the calendar, I made the large storage box out of foam core. The scene was drawn out to scale then hand cut out of foam core. 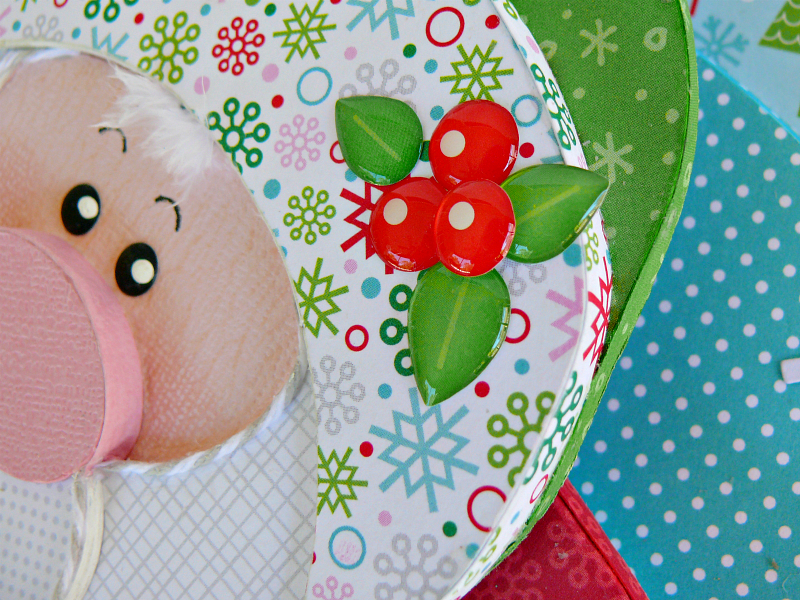 The pieces were then covered with patterned paper and glued together. 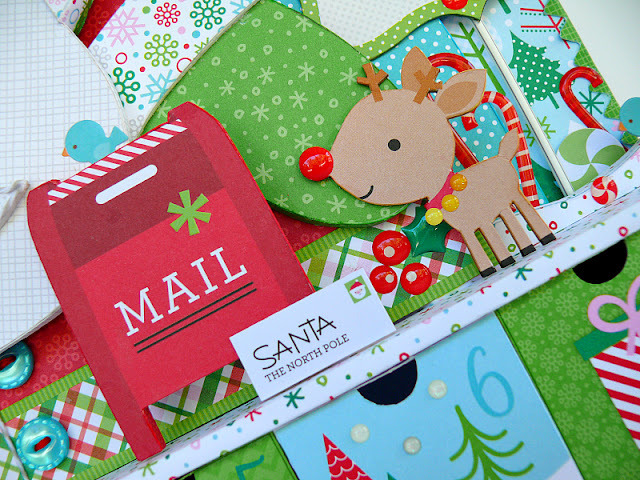 Some of the die-cuts (like the reindeer, snowman, and mailbox) were mounted to chipboard or foam core, before being added to the advent box. Twine was used around Santa's hat, face, and mustache. I also used the twine to make two pom-poms for his hat. Peppermint, candy cane, holly and berry sprinkles were all added throughout the project, as well as round ones. Here are a few more close-ups of the project, before I go. Jennifer this is simply fabulous. You never cease to amaze me!! So cool! Is there a video tutorial in this?? 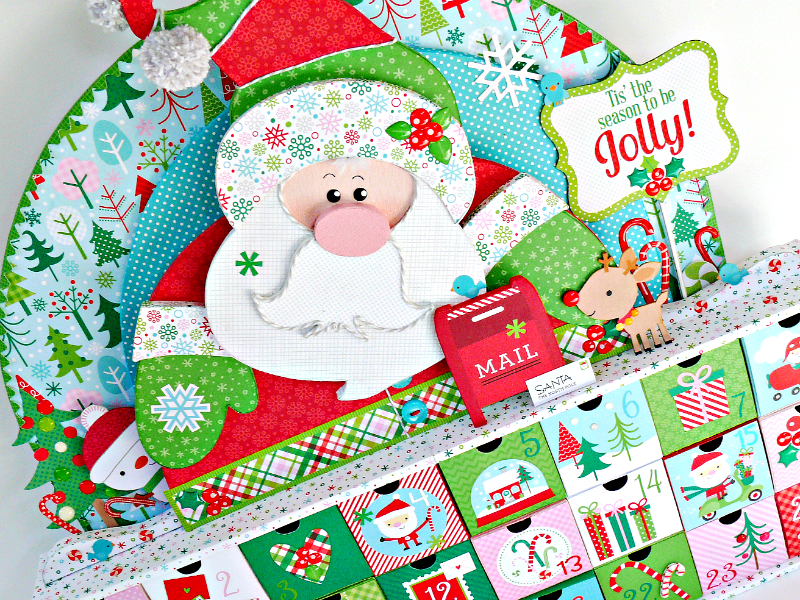 I have all the paper and supplies all ready to make this! Hi Stephanie. I do not have a video tutorial for the whole project. 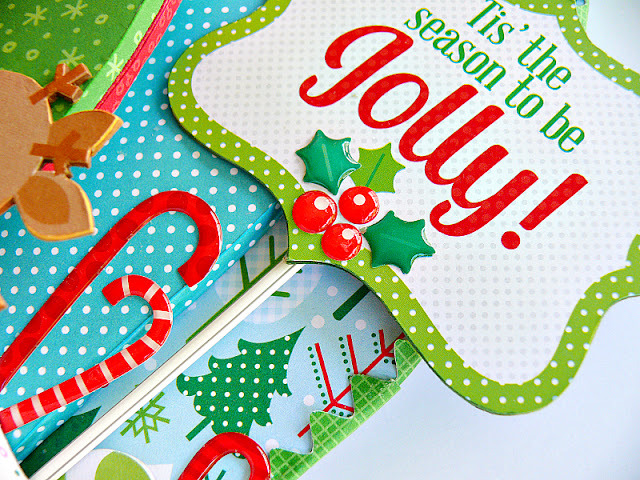 But you can see Lori Whitlock's tutorial for the calendar section here. Thank you, Jennifer!! You did a phenomenal job with this!! Sooo amazing in every way. Love those little boxes! Dang! 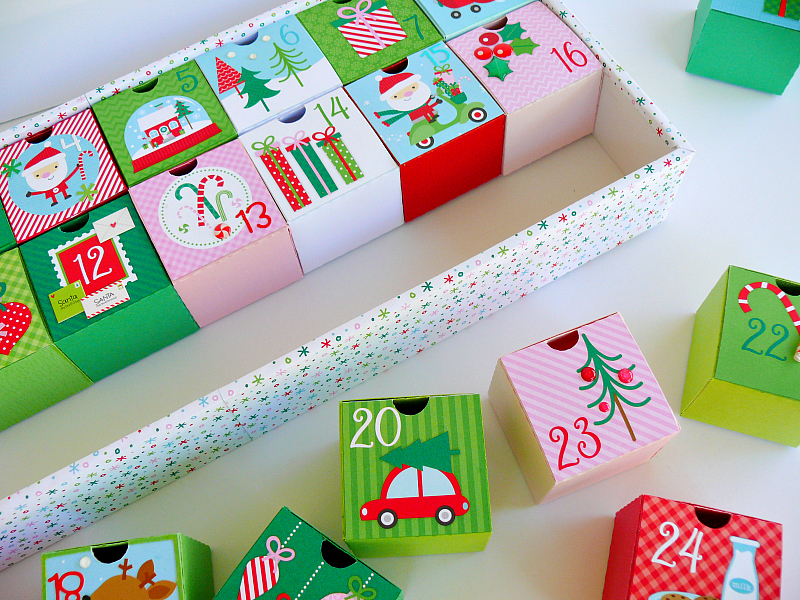 I was feeling pretty happy with my advent calendar I've been working on with the same papers. Girl you just took it to another demension...literally!!! I am in awe! Amazing!!!! You've just knocked my socks off! So FUN, so CUTE! Absolutely brilliant!!! I would love to know more about how you made this, especially the topper. Stunning!